Take Us to the Top! Join a lively discussion with Sherry Rhyno, owner of Gallery 31 Fine Art in Orleans, exploring options for showing and selling your art. An artist who works in oil and pastel, Sherry will share some Do’s and Don’ts of making your art available in the public domain. Are you ready for gallery representation? How do you prepare for a gallery? Does an artist find a gallery, or do galleries find artists? Learn how to position your art in the marketplace and figure out what’s your best fit. 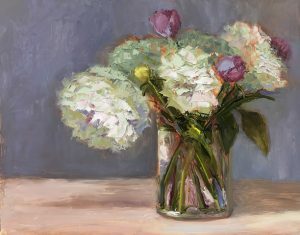 Sherry Rhyno loves to paint from life in oil and pastel and brings her firsthand knowledge as an artist to her gallery, Gallery 31 Fine Art in Orleans, now in its twentieth year. The gallery represents internationally acclaimed and emerging artists painting in representational and interpretive styles. Sherry manages gallery operations, including marketing and sales. Following a career at the University of Massachusetts as marketing director, dean of students, and president of the Alumni Association, Sherry took early retirement to pursue her art full-time 17 years ago. 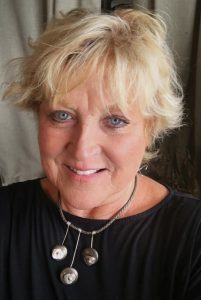 Believing in giving back to the community, Sherry co-chairs the Orleans Village Center Cultural District and served as president of the Pastel Painters Society of Cape Cod. Sherry holds degrees from Lasell College and UMass, and continued her graduate study at Boston University.